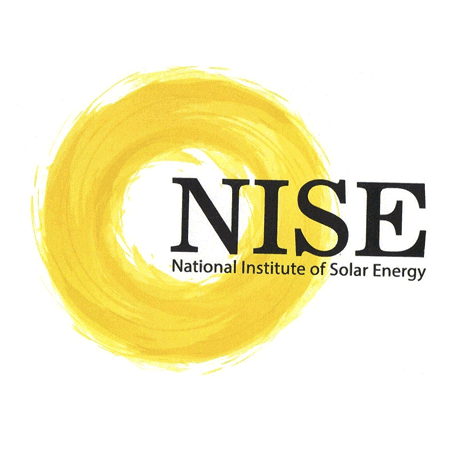 NISE Recruitment 2019: National Institute of Solar Energy / nise.res.in is conducting recruitment processes to fill 33 vacancies. As of now, there is one recruitment drive going on for Apply Online for 33 Scientific / Technical and Administrative Posts. NISE Recruitment 2019 - Apply Online for 38 Project Engineer/ Scientist & SPE/ Scientist Posts in NISE, Haryana on Contract Basis. Online Applications are invited by National Institute of Solar Energy from 17 Jan 2019 to 21 Jan 2019 and Walk-in-Interview to be held on 24 & 25 January 2019 from 10.00 AM for 38 vacancies. NISE Recruitment 2018 - Job notification for Project Supervisor Posts on a project entitled "Sotting up facility for calibration of solaf fadiation measuring sensors and its analysis I modelling basod on ground surface measurements" in NISE, Haryana on Contract Basis. Applications are invited by National Institute of Solar Energy on or before 02 Nov 2018 for 2 vacancies. NISE Recruitment 2017 - Latest job notification for Engagement of Sr Consultant, Consultant & Assistant Consultant in Gurgaon, Haryana on Contract Basis. Applications are invited by National Institute of Solar Energy before 07 Aug 2017 for 3 vacancies. NISE Recruitment 2017 - Latest job notification for Accoutant - National Institute of Solar Energy. Applications are invited by National Institute of Solar Energy for 2 vacancies. NISE Recruitment 2017 - Latest job notification for Senior consultant (Hydrogen Division). Applications are invited by National Institute of Solar Energy before 12 May 2017 for 1 vacancy.